2. Uluslararası Avrasya Biyolojik ve Kimya Bilimleri Konferansı (www.EurasianBioChem.org) 28-29 Haziran 2019 tarihlerinde Ankara'da biraraya geliyoruz. It is our great pleasure to invite you to participate in 2nd International Eurasian Conference on Biological and Chemical Sciences (EurasianBioChem 2019), which will be held on June 28-29, 2019 at The Ankara Hotel in Ankara, Turkey. 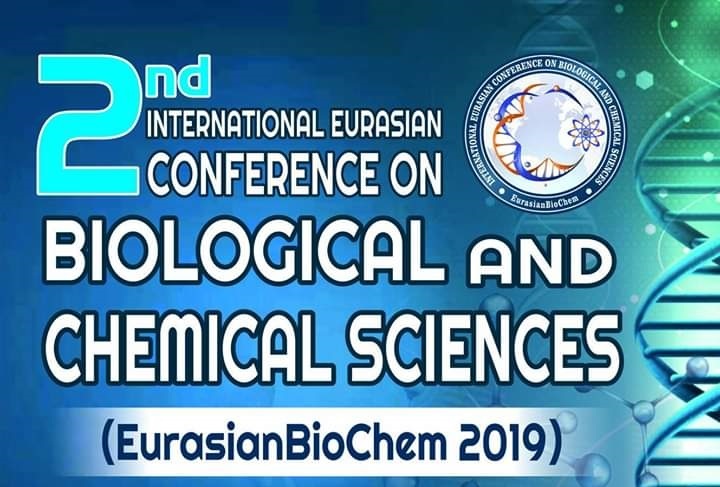 The aim objective of “EurasianBioChem 2019” is to bring together leading academicians, researchers, scholars as well as industrial professionals from all over the world to exchange and share their experiences and research results about all aspects of biological and chemical sciences and discuss the practical challenges encountered and the solutions adopted. 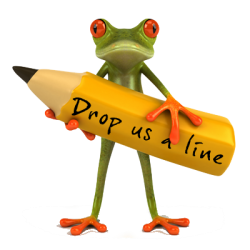 EurasianBioChem 2019 provides the academic incentive criteria. This conference provides opportunities for the delegates to exchange new ideas and application experiences face to face, to establish business or research relations and to find global partners for future collaboration. It is anticipated that a broad range of research and applied topics will be covered during the conference. 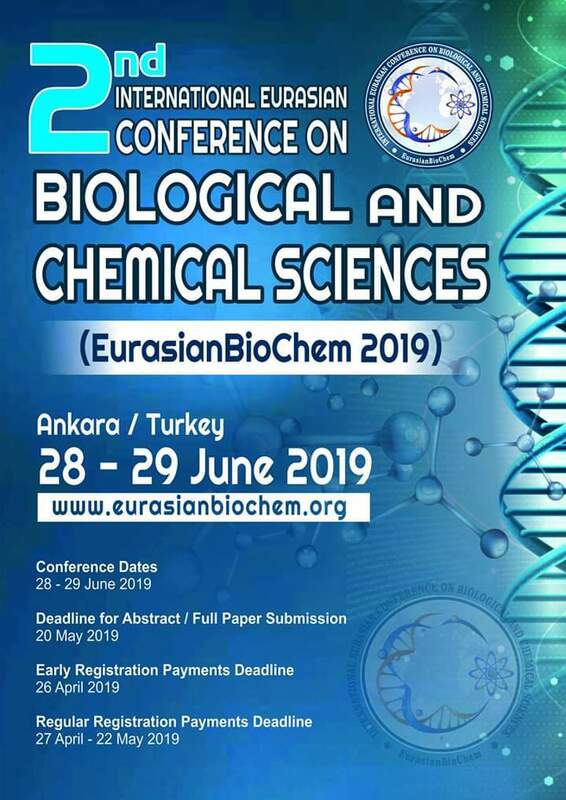 The official presentation language of the EurasianBioChem 2019 is Turkish and English. Abstracts / full papers can be submitted and presented in Turkish or English languages. All the submitted proceedings will be reviewed by at least two independent peers for technical merit and content. We invite academicians, experts and professionals from Biological and Chemical Sciences to join this stimulating and exciting conference. We kindly ask you to inform your colleagues and spread the information about the conference (EurasianBioChem 2019) among your contacts. We are looking forward to welcoming you in Ankara! 2. Uluslararası Avrasya Biyolojik ve Kimya Bilimleri Konferansı'nı 28-29 Haziran 2019 tarihlerinde Ankara’da gerçekleştirmek üzere bir araya geliyoruz. Bu bağlamda, Biyoloji ve Kimya’nın tüm uygulama alanlarında araştırma yapan değerli bilim insanlarını EurasianBioChem 2019’a davet etmekten onur ve mutluluk duyuyoruz. -Yeni Akademik Teşvik Kriterlerini sağlamaktadır. -Tam Metin Bildiriler Kitabı (Proceeding Book) ISBN numaralı olarak yayınlanacaktır. -Konferansa gönderilen bildiriler, Science Citation Index (SCI), Uluslararası Alan İndeksleri ve ULAKBİM TR dizinlerinde taranan dergilerde hakem sürecinden geçtikten sonra yayınlanabilecektir. -EurasianBioChem 2019'un resmi dilleri Türkçe ve İngilizce'dir. -En az 5 farklı ülkeden konuşmacı EurasianBioChem 2019'a katılacak ve sözlü sunum yapacaktır.